Stair runners have made a comeback and also become much more user friendly and easy to clean than they used to be. Thankfully, they no longer need taking up every few weeks to be beaten clean outside, for example. Neither do the stair rods need polishing nowadays. What has not changed, of course, is that a stair runner is a stylish addition to your staircase and hall, creating a unique, impressive entrance to your home. A stair runner is also safer, however, giving you a better grip underfoot and helping to avoid slipping or falling on the stairs. In addition, a stair runner will help reduce noise in the stairwell, which is particularly pleasant if your house has hard floors and smooth walls. Not to mention the fact that a runner with underlay is obviously much more comfortable to walk on. Which stair runner collections does De Roode Loper stock and what is the best choice for your stairs? 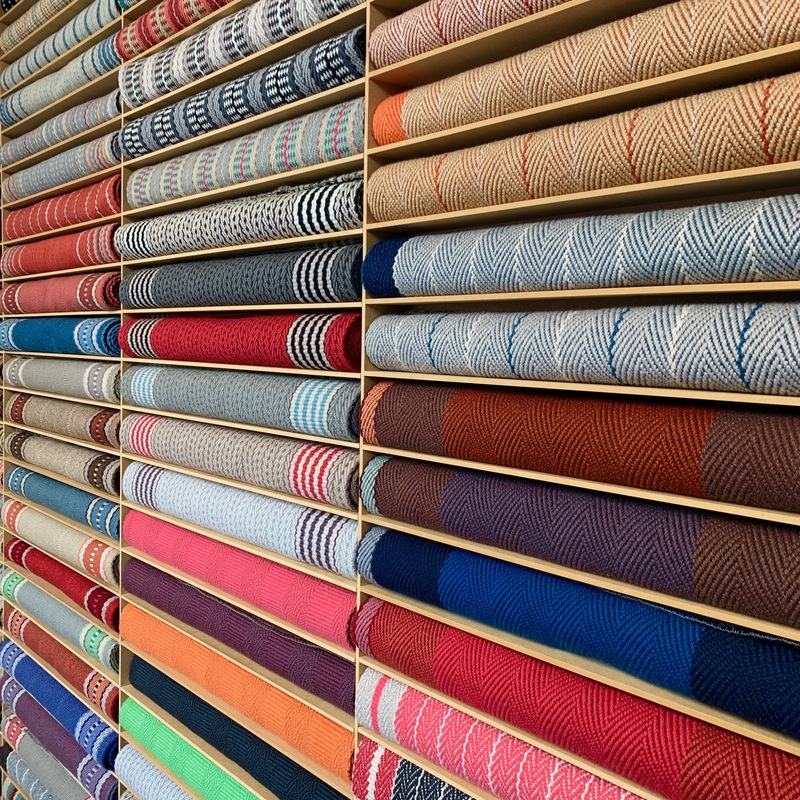 Visit one of the shops in Hummelo, Leiden or Utrecht and look through the hundreds of large samples. If you bring details of your own staircase with you, such as the number of steps, the number of steps with a bend, a photo of the staircase taken from above, and the width of the narrowest step (measured from left to right), we will be able to provide you with all the relevant information and a price indication based on your choice. If you do decide to buy we will make an appointment to visit your home. We will bring a wide selection of samples with us for you to choose which looks best on your stairs and we will measure your staircase. For an average staircase of 14 steps, you should allow approx. 7.5 metres, depending on the size of the steps and any bends. There will be additional charges for the stair rods, available in various types and sizes, and the traditional installation by one of our experienced fitters. The stair runners are installed by our highly skilled and experienced fitters. Installing a stair runner is a craft in itself as no two staircases are the same. 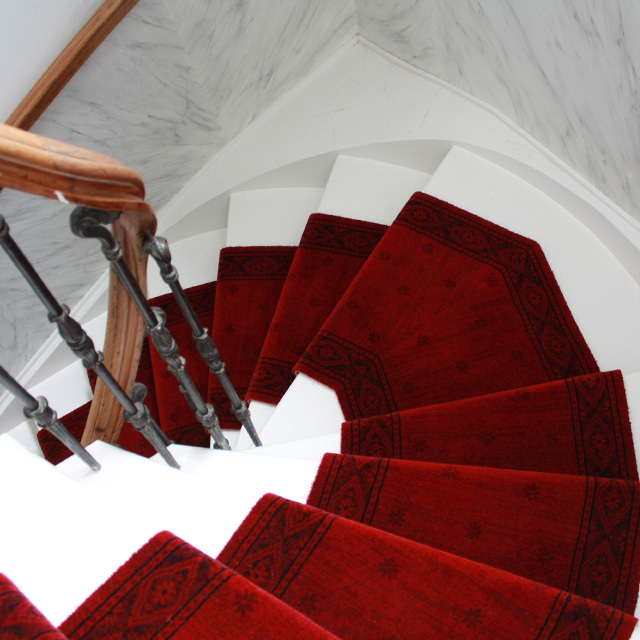 In principle, we lay our stair runners in the traditional manner, meaning that the runner is laid on but not fixed to the steps and that the stair rods serve a functional purpose, securing the runner in place. 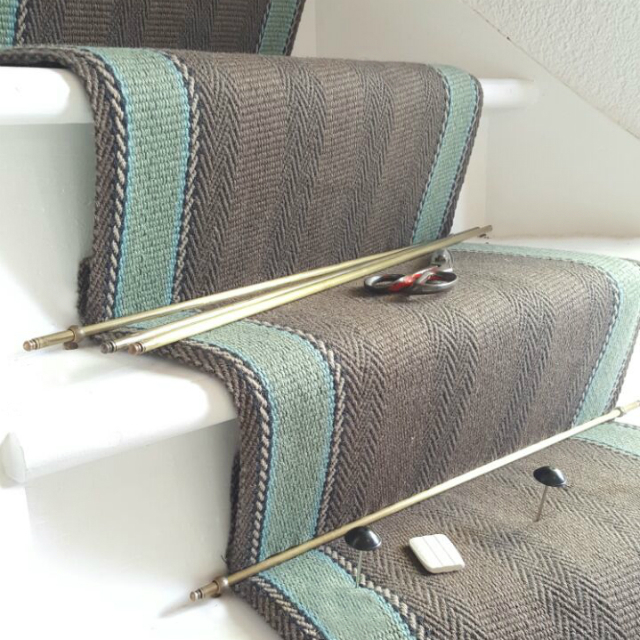 It may also be possible to install your stair runner without rods, using new techniques to secure the runner in place. The runner is installed on top of an underlay, which will both increase durability and reduce noise. As well as enhancing comfort underfoot, of course. Every stair runner is custom installed. The runner is cut to size by hand on site. Most Dutch staircases have a turn, which will necessitate sections being sewn or sometimes welded together. The best craftsmen deliver the finest results! De Roode Loper offers the widest collection of stair runners in the Netherlands. The range boasts numerous brands from countries including the UK, Belgium and France, displayed together in the shops to give you a good idea of the countless possibilities. Thanks to its naturally good properties, most runners are made of wool. Another traditionally popular material is sisal. 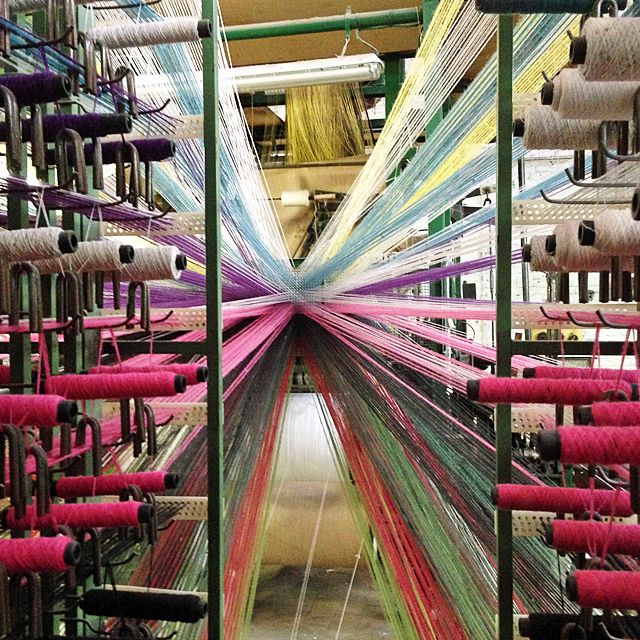 The production methods also vary; flatweave, handweave, plush qualities, woven with a loop pile and hand tufted. We offer this extensive collection in combination with fitting craftsmanship. The highly skilled fitters can install stair runners either with or without rods. Just like the stair runners, the stair rods are also available in a variety of types and sizes.